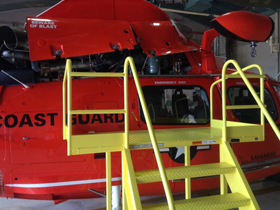 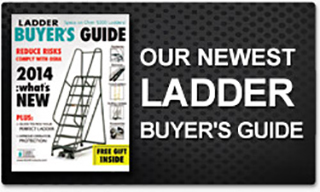 Helicopter Maintenance Platform | EGA Products, Inc.
A valued distributor came to EGA’s design team with a really cool request. 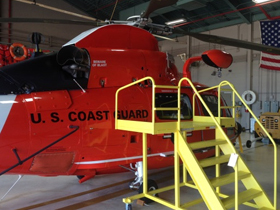 The U.S. Coast Guard needed a specialized platform to perform maintenance on their critical fleet of search and rescue helicopters. 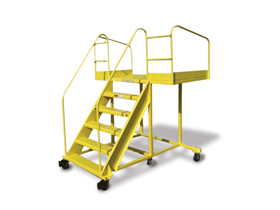 The Coast Guard’s request came with very specific requirements for this mobile platform to reach delicate instrumentation. 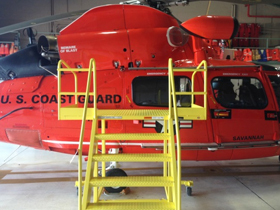 The platform had to be durable – many Coast Guard installations are near salty sea waters.